Argentina can be described as a country of contrasts. 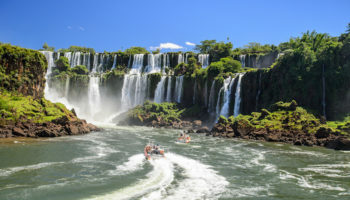 Stretching along South America and boasting a long coastline on the Atlantic Ocean, Argentina is a nation where you can find vineyards, towering mountains, national parks, glaciers and beaches. 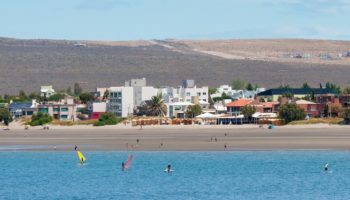 Such a unique destination begs for unique accommodation, and there is no shortage of options available. 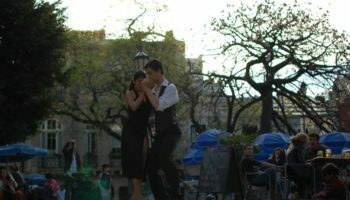 As you plan your next getaway, be sure to select one or more of these amazing places to stay in Argentina. Mendoza is the wine capital of Argentina, which means there is no better accommodation in the region than the Cavas Wine Lodge. The Cavas Wine Lodge itself is located in a vineyard, but guests can look up from their wine tastings and admire gorgeous views of the Andes Mountains. To pair with the local vintages, the Cavas Wine Lodge boasts an onsite restaurant serving up organic cuisine. Each room offers a west-facing view and a private deck on which to watch the sunset over the mountains each evening. 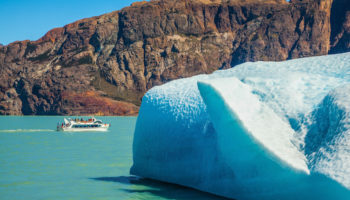 The Design Suites hotel in Calafate boasts an incredible location overlooking the waters of Lago Argentino, allowing you to soak in the beauty of Patagonia. You’ll love the striking, contemporary design of the architecture, which is clearly inspired by the mountains, as well as the amenities that range from an onsite art gallery to a full health club and fitness facility. 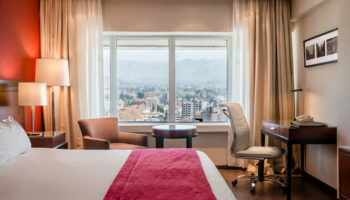 Design Suites Calafate is the perfect gateway to the magnificent splendor of the nearby Glaciers National Park. The Palacio Duhau is a truly luxurious hotel that is located in a Neoclassical building in the heart of Buenos Aires. 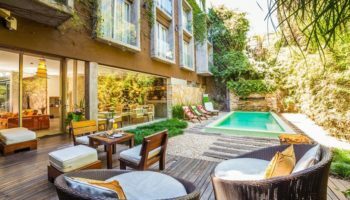 Although it is close to everything from the city’s top restaurants to the Casa Rosada Presidential Palace, the Palacio Duhau has everything you might need. Onsite, you can revel in the elegant marble bathrooms, unwind with cocktails in the sophisticated bar, indulge in upscale cuisine in one of the three restaurants or dance the night away in the hotel’s ballroom. 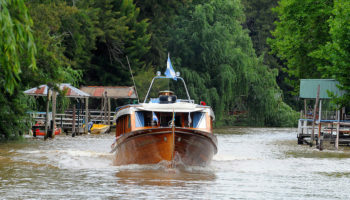 An estancia is a traditional Argentine cattle ranch, and the Estancia La Bamba de Areco is the manor home of one ranch that has become a luxurious hotel for discerning travelers. Surrounded by vineyards and stables, the hotel is the kind of place where you can unwind by riding horses at a moment’s notice. Staff dressed as gauchos are happy to saddle you up, bring you a local glass of wine or schedule your onsite spa treatments around the clock. If you want to be pampered in an all-inclusive resort, but still be surrounded by some of the best views in all of Argentina, then staying at the Eolo Patagonia Spirit Hotel is a fantastic choice. There are mountain and water views directly outside the guest room windows, since the hotel is situated right in the heart of the La Anita Valley near El Calafate. Rooms are designed to be indulgent, and spa treatments and dining options are out of this world. 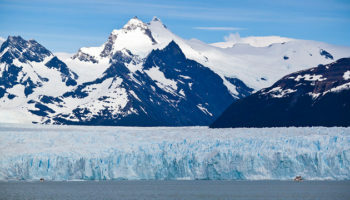 However, you’ll want to leave the hotel, if only to see the magnificent Perito Moreno Glacier, which is one hour away. High in the Andes Mountains is Entre Cielos (“between skies”), a boutique hotel in Mendoza. Situated right in a vineyard, Entre Cielos is a must-stay for oenophiles. In addition to a floating wine loft in the vineyard, two onsite restaurants and more wine tasting than you could possibly fit into even the longest of vacations, the upscale Entre Cielos also offers the full pampering of a world-class spa and hammam. An onsite fitness trail lets you get active and soak in the scenery, admiring the peaks of the Andes just steps from your hotel suite. 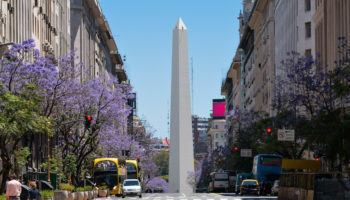 In the heart of the upscale neighborhood Recoleta, located in the Argentine capital of Buenos Aires, is the Alvear Palace Hotel. Truly palatial in nature, this hotel was established in 1932 and is now synonymous with South American luxury. The building’s facades looks French, which makes sense since it was influenced by 1920s Parisian architecture. Today, the Alvear Palace Hotel is home to gorgeous suites where you can arrange for butler service, sip drinks in the champagne bar and be perfectly situated to explore the city of Buenos Aires. Located in Ushauia in Argetina’s Tierra del Fuego, this hotel can truly be described as being at the edge of the world. 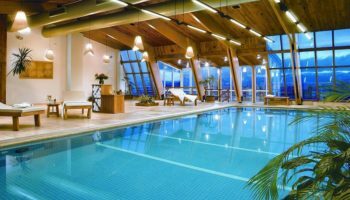 The Arakur Ushuaia Resort & Spa is located more than 800 meters (2,600 feet) above sea level, but it looks straight down onto the city and is surrounded by snow-capped peaks. Right from the resort, you can explore trails leading through the Reserva Natural Cerro Alarkén, and you can relax with pampering spa treatments upon your return. This upscale resort is one of absolute luxury, offering everything from a world-class spa to an incredible golf course. 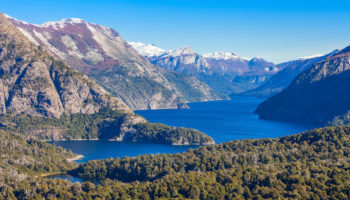 The Llao Llao Hotel & Resort in Bariloche is the ultimate place to enjoy outdoor recreation. 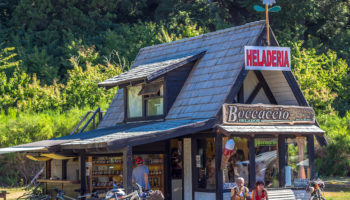 In the winter, the nearby Andes Mountains provide endless skiing and snowboarding possibilities, and in the summer the blue waters of Lago Nahuel Huapi beckon. The hotel was first opened to the public in 1938, and it has become a name that celebrities, diplomats and jetsetters from around the world choose when they want to relax and explore Patagonia.